Hearthstone is considered a casual game by many, but the theory behind deck building can often be very daunting. My goal with this series of articles is to explain some of the fundamental theory behind the game, but do so in a manner that is simple and easy to understand. In order to achieve this goal we are going to start at the very beginning and work our way up to more complex topics as we go. In this first article we will define key terms and try to build a basic understanding of what the components of Hearthstone really represent. Threats are at the core of Hearthstone. The very first thing that every player does in the Hearthstone tutorial is play a Murloc Raider. While the murloc raider isn’t particularly imposing it is an example of a threat. For those of you who are unfamiliar with the term, a threat is anything that if not dealt with will eventually cause the opponent to lose the game. The Murloc Raider meets this definition because it has two attack and therefore is capable of doing two damage each turn while it is alive and unimpeded. Hearthstone is filled with dozens of different threats each with a unique set of characteristics. Let’s take a look at how those threats interact to help understand the concept of threat superiority. For now let’s stick with that Murloc Raider. 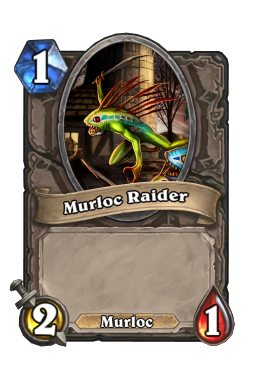 The stats on our little murloc friend are two attack and one health. In a vacuum these stats don’t tell us much because stats are relative. You may be wondering what I mean by saying stats are relative. 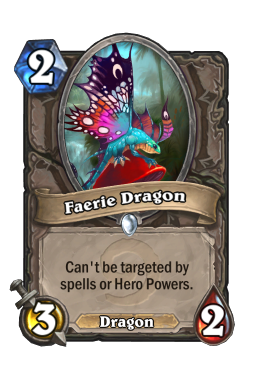 Well, all this really means is that stats derive their value from the way they interact with other cards/abilities/heroes. Let’s pick some other cards and see how they interact to get a better understanding of how they are relative. 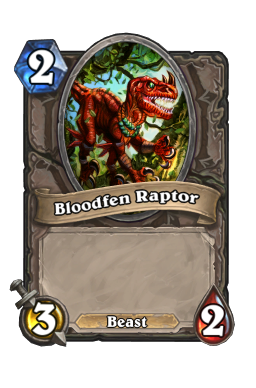 For the moment let us stick with minions and examine a card like bloodfen raptor . Consider this hypothetical situation with me. Jaina has a deck containing only a Murloc Raider and Thrall has a deck containing only a Bloodfen Raptor. Both players play his/her respective minions onto the board. So what happens next? Well, Bloodfen Raptor has three attack and two health. So when these two cards interact through combat they will both be destroyed in the process. This is an example of threat equality. These two cards will trade on a one for one basis and neither player will have an advantage on the board going forward after combat. However, that is not always the case. Thrall understands the concept of threat superiority so before the next game he replaces Bloodfen Raptor with River Crocolisk. River Crocalisk has very similar stats to Bloodfen Raptor, but they are reversed. 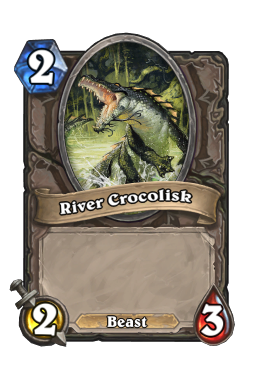 Instead of the 3 attack and 2 health of the Bloodfen Raptor the River Crocolisk has 2 attack and 3 health. This is a subtle change, but it has a dramatic effect on the outcome of combat. In the next game Jaina has again played a Murloc Raider but this time Thrall plays the River Crocolisk. When River Crocolisk interacts in combat with the Murloc Raider it will survive with one health remaining. This is an example of threat superiority. Since in our hypothetical situation the players only had one minion in their respective decks the game is effectively over after that combat. Thrall has a 2/1 River Crocolisk remaining on the board and Jaina has no more cards in her deck. This is what is known as inevitability. Thrall has established a board position that will win the game and Jaina no longer has any way to interact with the board. Thrall was able to achieve inevitability because his deck had threat superiority. It is easy to determine which deck has threat superiority when each deck only contains one card. It is more complex when both players have full 30 card decks, but the concept is still the same. If you line up both decks and compare all of the threats then one deck will have threat superiority and all other factors being equal that player will achieve inevitability at some point in the game. Typically the deck with threat superiority is the one with larger minions. So why don’t we just put our largest minions into the deck and win every game? Well, there are other factors that can alter this outcome, but we will address those at a later point. For now it is only important to recognize that one deck will begin the game with threat superiority and that this will lead to inevitability if not interrupted. Let’s go back to our friend Murloc Raider and see what else it has to teach us. Players in Hearthstone begin the game with 30 life, so assuming that you play a Murloc Raider on turn one of the game and the opponent does not interact with it in any way, the Murloc Raider will kill the opponent on turn 16 of the game. This is because the Murloc Raider can’t attack the turn you play it and therefore will only start doing its 2 damage the turn after it is played. Thus it will do the final points of damage on the 16th turn (2 x 15 = 30). In this case 15 would be what is known as the “clock” for your opponent. The term clock simply refers to the number of turns it will take for you to win the game if the board does not change. So by playing a Murloc Raider on turn one of the game you have put your opponent on a 15 turn clock. So how does the clock change? Well, there are a number of ways to affect the clock, but perhaps the simplest way is to change the size of the threat. 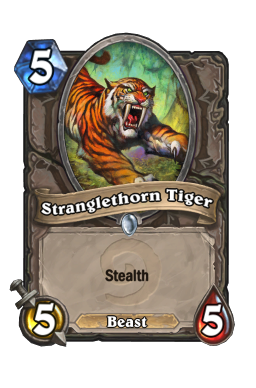 For instance, if instead of playing a Murloc Raider with 2 attack you play a stranglethorn tiger that has 5 attack you will have shortened the clock. Assuming your opponent still has 30 health you will now have a 6 turn clock (5 x 6 = 30). Another way to change the clock is to alter the amount of health you have in the scenario. If you have only 8 health and your opponent is attacking you with a Murloc Raider then you are on a 4 turn clock (4 x 2 = 8). So what does clock really mean? Well, previously we discussed how threat superiority is a concept that describes how threats interact with each other. We can think of clock in a similar way, because clock is a concept that describes the way a threat interacts with the hero. So if your opponent has you on a clock what can you do about it? Conveniently the answer to our question is Answers. An answer is a anything that nullifies a threat. So what all qualifies as an answer? Well, as our discussion of threats showed, a threat can act as an answer itself by interacting with the opponent’s threat in combat, but there is more to this story. The most straightforward example of a non-threat answer is a card/ability that removes a threat from the board. The rogue card assassinate is an example of this type of answer. For five mana it destroys an enemy minion. This is a very broad answer. Most answers in Hearthstone are more situational than Assassinate. 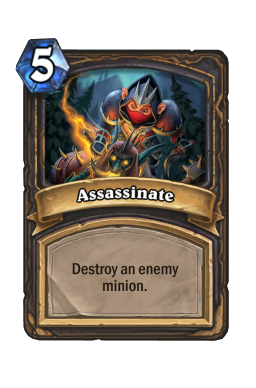 Yet, even Assassinate is situational in that it can only destroy an enemy minion if it is able to target it. 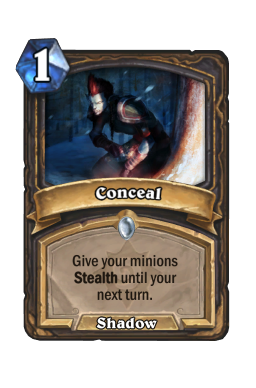 So if your opponent plays a threat like faerie dragon that can’t be targeted by spells or uses a card like conceal that gives his/her minion’s Stealth then Assassinate will not be able to interact with the threat. So why are we so concerned with the situational nature of answers? Because a card/ability isn’t an answer at all unless it is able to interact with a threat. You can think of threats as locks and answers as keys. This is particularly apt comparison because not every key (answer) will fit every lock (threat). Game designers have built Hearthstone this way because they know that it is frustrating to have all of your threats removed with answers. So, in order to put some limitation on how effective answers can be they limit the interactivity of answers in several ways. The first way that game designers limit answers is by making their usage binary. These types of answers are either effective or they have no usage at all. An example of an answer with this type of interactivity is shadow word pain. Shadow Word: Pain will only destroy a minion with 3 or less attack. If the minion has more than 3 attack it is completely ineffective. These types of cards tend to be very powerful, but they lack flexibility in their usage. The next way that game designers limit answers is by putting a limit on their effectiveness. The most obvious example of this is damage based answers. Consider arcane shot as an example of this type of limitation. 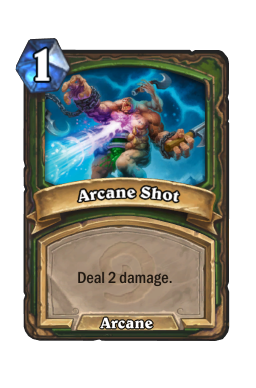 Arcane Shot does 2 damage and therefore will act as complete removal against minions with 2 or less health, but if the minion has 3 or greater health Arcane Shot is only partially effective. This type of card is often less powerful than cards using binary interactivity, but they also tend to be more flexible in their usage. Sometimes designers use a combination of both of these design techniques. An example of this type of card would be multi shot. It is binary in that it can’t be played at all unless the opponent has 2 or more minions in play and it has incomplete interactivity in that is only does 3 damage to the minions. These cards get the worst of both worlds as they lack flexibility and they are also less powerful on average. It is important to be aware of the nature of the answers you put into a deck because of the limitations they have placed on them. We will discuss the value of answers more completely when we cover efficiency, but for now just be aware that answers have inherent risk to them that stems from the limitations on their interaction. An answer is a dead card if it has no threat to nullify. The term resource is very broad. It encompasses anything that is a source or supply from which a benefit is produced. Hearthstone has many different resources. 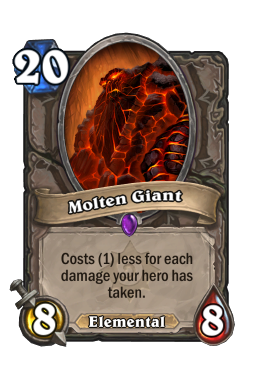 The most obvious of these is mana crystals, but health, cards, and even the ability to attack are all resources. If there was no limitation on these resources then the player with threat superiority would win every game because, as we saw earlier, threat superiority leads to inevitability. Yet, there are limits on these resources, so we must become familiar with the nuances of them now so that we can build upon this information later. Let’s take a look at the available resources to better understand the mechanics of the game. Mana is the most clear cut resource so let’s start here. The vast majority of cards in Hearthstone require some amount of mana to play and thus you are limited in the number of cards you can play by the amount of available mana you have on a particular turn. Furthermore, the characteristics of mana are important to making proper choices in deckbuilding. Let’s examine the key characteristics. 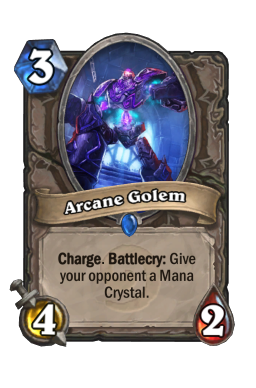 By default you receive one additional mana crystal on each turn of Hearthstone. Thus the standard mana progression increases in linear fashion. 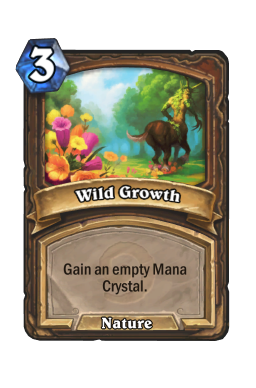 There are a few key cards (wild growth , arcane golem , etc) that can alter this progression, but generally it will be stable. Understanding this mana progression is extremely important to establishing the proper cost distribution for your decks. 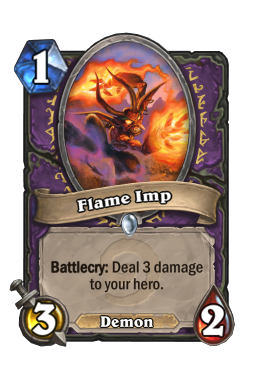 This will be covered in much greater detail when we look at mana advantage. Mana is a reusable resource because with the notable exception of the overload mechanic, mana spent on a previous turn is restored on subsequent turns. Related to the reusability of this resource is the fact that mana is a perishable resource. If you don’t expend a mana crystal on particular turn that mana will not carry over to subsequent turns. It is this fact that makes mana efficiency such a crucial part of Hearthstone. The player who is able to avoid losing access to mana by making efficient use of his/her turns will effectively have more access to mana throughout the game than a player who doesn’t. The last fact about mana that we should consider is that it is a dependant resource. Outside of the 2 mana hero power that all classes have, you must have cards in order to expend your mana. This means that we must always consider these two resources relative to one another. A deck designed to accelerate either resource will not be successful if it has limited access to the other. Cards are the most divergent resource in Hearthstone. You are subject to a few restrictions on the number of cards you are able to include in your deck and what class cards you have access to, but otherwise you are free to populate your deck with whatever cards you see fit. Cards follow a very similar progression to mana crystals. You begin the game with either 3 or 4 cards depending on whether you went first of second and then draw 1 additional card on every turn. The main way that the acquisition rate for cards and mana differs is in the access to tools that alter it. As we noted with mana there are very few ways to manipulate your acquisition rate, but with cards there are many more options available. 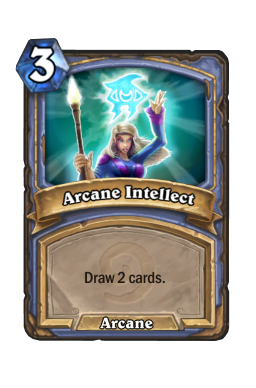 For instance there are cards that do nothing but draw more cards like arcane intellect ; cards that draw additional cards when certain conditions are met like gadgetzan auctioneer ; and there is even a class power in the Warlock Lifetap ability that allows for card draw. We will delve into this much deeper when we discuss resource superiority later. Cards differ from mana in that they are not a reusable resource. 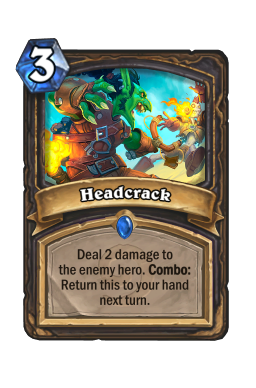 Once a card has been played you no longer have access to it on subsequent turns (Exception: headcrack ). This is particularly relevant because you only have access to the 30 cards in your deck throughout the game. Once those resources are expended you will start taking fatigue damage for each subsequent draw. This must be kept in mind when designing a deck. Cards also differ from mana in that they are not perishable. You can retain access to a card by simply holding it in your hand until a later turn. The main limitation to this being the maximum hand size of 10 cards. Any subsequent cards drawn while you have 10 cards in your hand will be destroyed. Like mana, cards are a dependant resource. A card can only be played if you have the amount of mana crystals it requires available. There are some cards that require zero mana to cast and we will discuss them when covering mana advantage, but the vast majority cost a non-zero amount of mana.Thus, if you don’t have the mana crystals available the card is unusable. The two resources are symbiotic and we must keep that in mind when designing decks. You may not commonly think of the ability for a minion or a weapon to attack as a resource, but it is one. Minions and weapons represent investments of cards and mana that turn into attacks. We can then use the attack resource to produce damage. As we take a closer look at the attributes of attacks we will find that it is these very attributes that separate minions from weapons. The acquisition rate for attacks is somewhat atypical. It is different for weapons and minions so we should look at them independently. Minions - By default minions are unable to attack the turn they are played onto the board. So the standard acquisition rate for a minion is 0 attacks on the turn it is played and then 1 attack on each subsequent turn. 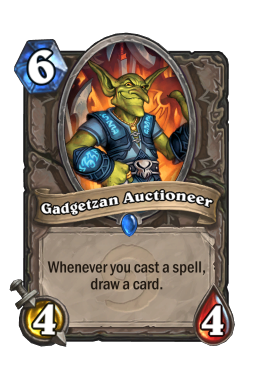 There are two keywords in Hearthstone that alter this acquisition rate. 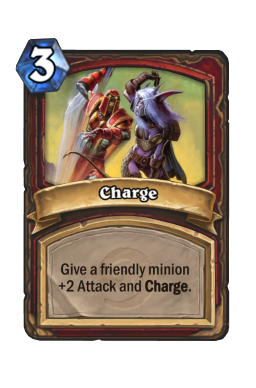 The first keyword is Charge. Charge alters the acquisition rate by giving the minion 1 attack on the turn it is first played onto the board. Thus, Charge effectively gives the minion 1 more available attack over the course of its life. 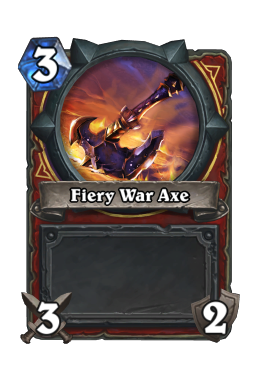 Windfury is the second keyword. Windfury grants an additional attack at any point where the minion would otherwise be able to attack. Therefore a minion with Windfury would still be unable to attack the turn it is played, but on subsequent turns it would have access to 2 attacks. Weapons - The attacks of a weapon are directly tied to the attack on your hero. Thus, weapons are not limited in their ability to attack the turn that they are played. You can think of it as if weapons all have the keyword Charge. The exception being that if you play multiple weapons in a turn any weapon beyond the first will not have charge, as your hero will have already expended its attack for the turn. Weapons also vary from Minions in terms of reusability of attacks. Minions gain one additional attack on each turn beyond the first turn they enter the board. Thus, the attack resource for minions is reusable. Weapons on the other hand do not gain additional attacks on subsequent turns. The amount of attacks they have is determined by the durability of the weapon and it does not increase naturally. Therefore, weapons do not have reusable attacks. Weapons also vary from minions in terms of perishability. The default one attack that minions gets per turn will not carry over to subsequent turns. Thus, any time a minion fails to use an available attack during the course of a turn that attack is gone forever. Weapon attacks on the other hand will remain if unused. Health is in many ways the most fundamental resource in Hearthstone. Every player begins the game at 30 life and the game will not end until a player gets to zero or less health. No other resource has such a direct relationship with the status of the game. By default health will not change over time.There are cards and abilities that allow you to regain health, but those require investment of other resources. Health is easily the most difficult resource to expend. 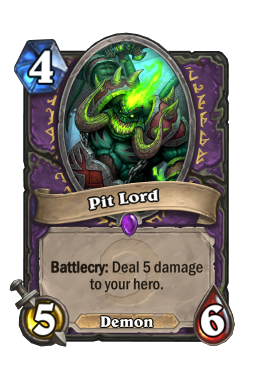 There are some cards that consume health when played (pit lord , flame imp , etc), but perhaps the most direct way to spend health in Hearthstone is through the use of Weapons. 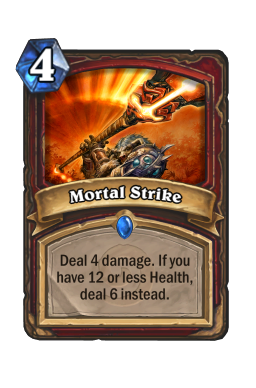 By using a weapon to attack a minion you will expend health to deal damage. 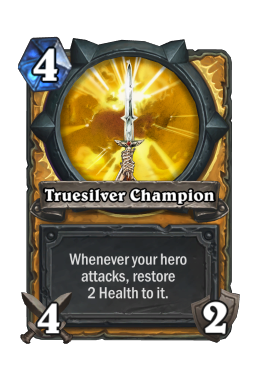 There are weapons that reduce or mitigate this expenditure (truesilver champion , gladiators longbow), but as a general rule weapons allow you to convert health into damage. Now we have an understanding of the basic deckbuilding blocks of Hearthstone. We have looked at the type of threats Hearthstone offers and the concept of threat superiority; answers and the ways in which their interactivity is limited; and the resources available in the game and the characteristics that differentiate them. In the next instalment of this series we will tackle resource superiority and begin to look at how these pieces fit together to form strategies.